How many does should I shoot this year? This question is one of the most common topics discussed by property managers as the season nears, and there are several ways to approach it. Despite past needs for increased doe harvest, predation and heavy annual harvest have changed the situation recently in some areas. Whether to increase or decrease doe harvest can be determined with some data collection and consideration of the deer herd on your property. To determine doe harvest numbers, one must first have data! While more information is certainly better than less, some estimate of fawn recruitment is necessary. Either a trail camera survey, observation data from hunting, or lactation rates will suffice, but having all three will provide more confidence in that estimate. This estimate of fawn recruitment will let you know the population growth rate, which forms half of the basis for setting harvest goals. The second piece of data that is necessary is an estimate of deer density relative to carrying capacity. 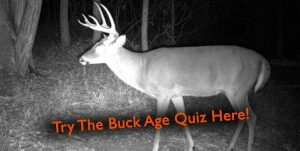 While the actual number of deer on a property is not information you must have, it is critically important that you know how many deer are there compared to what the property can support. I feel this is the single most important piece of information to have, as it influences the manner in which you interpret fawn recruitment rates. There are two major ways to determine population relative to carrying capacity: measurements from harvested deer and observed trends in vegetation. Any property with deer management as an objective should collect harvest measurements. They are relatively simple to collect, and there is really no excuse for not having data from every deer that is killed on a property. At a minimum, a weight and age should be collected, and the lactation status of each doe checked. 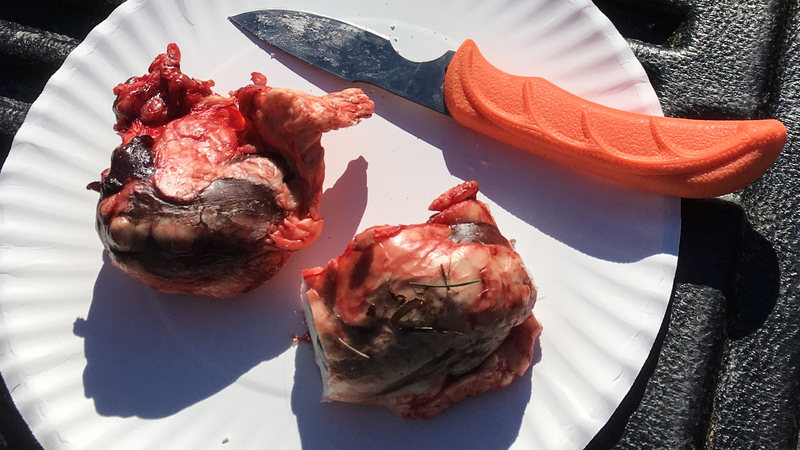 I also like to measure kidney fat from each deer, as this gives you an idea of how much fat an animal has. (Above) The kidney fat index is calculated by dividing the weight of the fat on the kidneys by the weight of the kidneys alone. This gives you an index of the total fat on the animal. While harvest measurements give solid numbers for comparison, observing vegetation typically turns into more of an art than a science. It is certainly possible to conduct browse surveys, but usually trends are easy to see. However, being able to identify plants and knowing their value to deer is absolutely critical for this to work! Without these skills, how will you know whether a plant deer are commonly eating is high or low quality? Exclusion cages in food plots can also provide great information on this subject, as larger food plots typically shouldn’t be eaten to the ground. A combination of observations from food plots and native vegetation can paint a clear picture of how deer are impacting the plant community on a property. 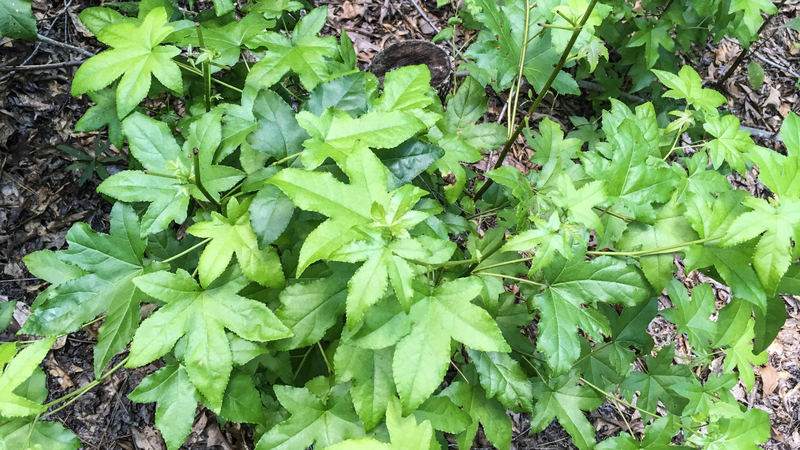 (Above) If deer are commonly browsing on sweetgum as pictured here, it is likely that you need to shoot some more does. From the collection of recruitment data, you will be able to calculate the approximate number of fawns per doe on a property. While these are general numbers, any property with more than 0.7 fawns per doe probably has high recruitment and can sustain a heavier doe harvest. However, when these numbers start to fall below 0.5 fawns per doe, it is time to look at the harvest data and vegetation observations you have been making. If recruitment is high, deer are heavy with fat, and they are not having negative impacts on native plants, it is important to harvest enough does to keep it that way. With lower recruitment numbers, the interpretation of data becomes more difficult. This either means the population is high and more does should be shot, or that the population is low and for some reason fawn survival is low. If low recruitment numbers are accompanied by low levels of fat and deer eating low quality plants, more does should be taken. This situation also calls for habitat management to create more forage, but increased harvest must accompany any improvements for the best result. The second situation is increasingly common with the population of coyotes that is now present in the Southeast, and simply requires you to back off harvest. If deer are healthy and the population growth rate is slow, being conservative in doe harvest is the safest option. Regardless of which situation you are in, you must continually monitor and adjust harvest goals each season. It is important to note the reason I discussed harvest in terms of “more or less” and did not provide an estimated number per acre. That depends on far too many factors to discuss in a blog, and is a moving target. Improving habitat quality can help increase recruitment, and is something we should all strive to work towards. In determining harvest goals, combining past harvest rates with current data is the best way to go about changing the population. If you are interested in learning more about setting doe harvest goals, check out Podcast #2.